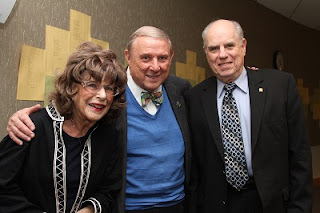 Professors of Science Phyllis Krasnow and George Krasilovsky, PhD, were honored at the recent Beta Beta Beta induction for decades of dedicated service to the RCC Biology community. 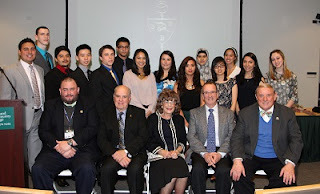 Both professors served as mentors to science students in the Sam Draper M/TS Honors Program. Professor Krasnow began teaching at RCC in 1969, and served as a mentor in the Honors Program from 1980-2000. She was known for her student-centered approach. Beyond her work in the classroom and with advisement, she founded the Biology Club, and created a Biology Scholarship offered through the RCC Foundation. She was instrumental in helping many students transfer to Cornell. Even after she retired and move to south New Jersey in 1998, she drove more than two hours each way to continue to teach and mentor part-time. She received the Chancellor’s Award for Excellence in Teaching (1985). Dr. Krasilovsky received the Chancellor’s Award for Excellence in Teaching (1996). After retiring in 2006, he has continued to teach, especially A&P during the Summer. On March 21, 2014, RCC presented an Evening of Hope Fundraiser: Music Makes the World Go Around, celebrating the life of Melissa Dimataris. 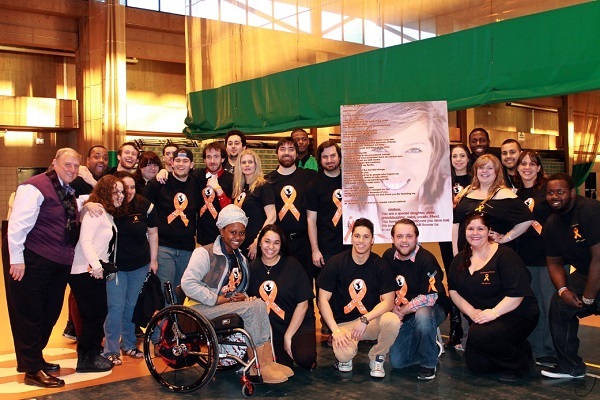 Melissa was an award winning RCC Performing Arts Student, who shared the beauty of her bright and shining spirit with everyone she met, and audiences were gifted at any performance that included her dazzling smile and powerful voice. Her valiant battle with leukemia inspired all whose lives she touched. She left a profound impact on the lives of family, friends and the RCC community. This scholarship will remain as a lasting tribute to the legacy of a young woman who touched so many lives and made a positive contribution and impact on Rockland Community College. 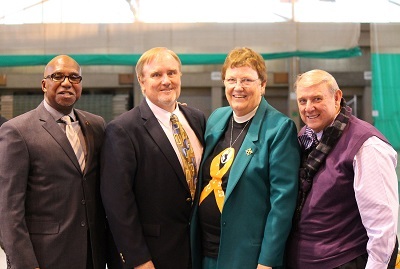 Dr. Kirk Manning, Vice President and Dean of Student Development, St. Thomas Aquinas; Sister Mary Eileen O’Brien, OP, PhD, President, Dominican College and Dr. Cliff L. Wood, President, Rockland Community College. During the Evening of Hope, RCC President Wood and Performing Arts students and faculty gather around a poster depicting Melissa Dimartaris, in whose memory the fundraising event was held.